Almost everyone is aware that exposure to secondhand smoke is harmful; however, what about exposure to "third-hand smoke (THS)"? It is a relatively novel term that is used for the residual components of tobacco smoke which lingers in places for long after smoking has stopped and also settles on your clothes after you have left a smoky place. You may think it to be merely an offensive smell, but it actually implies that there is presence of toxins of tobacco smoke. Yes, it is dangerous to your health. It creates problems by acting in more than one way. The first one is quite easy to understand. Smoking produces chemicals which land on the surfaces present in the area where smoking has occurred. According to studies, out of the total chemicals present in THS, 11 substances can cause cancer. A few of such chemicals are cyanide, nicotine, lead, radioactive polonium-210, butane, arsenic and polycyclic hydrocarbons. The second way in which toxins of smoking can be a cause of concern is via a process called "off-gassing". 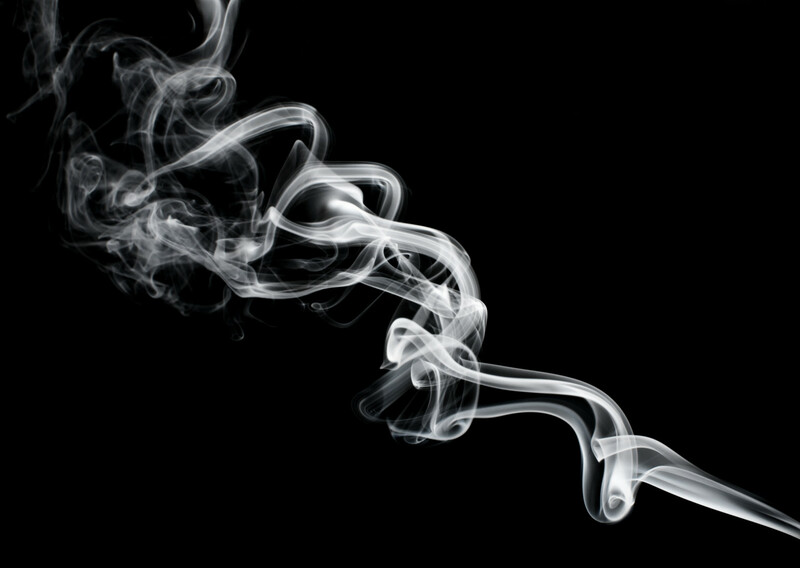 It is a process in which the substances that have landed on surfaces after smoking are pushed back into the atmosphere as gases. One such substance is nicotine. By this process, residue of tobacco that has been deposited on surfaces continues to release toxins for a long period after smoking occurred. THS interacts with nitrous oxide to form nitrosamines which are carcinogens. VOCs or volatile organic compounds interact with ozone in the atmosphere to form formaldehyde. You may be affected by the toxic chemicals present in THS by ingesting them, by inhaling them, or by absorption via the skin. What Are the Health Risks of Third-Hand Smoke? It was found that THS interferes with wound healing and wound elasticity, affecting how soon a wound may heal and what type of scar is formed. According to studies done in mice, it has been found that THS produces molecular changes at cellular level, leading to insulin resistance. Early evidence states that THS may increase the risk of development of cancer. Nitrosamine, a chemical present in THS, is present in limits above the recommended limit by the Environmental Protection Agency for children in the age group of 1 to 6 years in 77% of houses having smokers. This implies that 1 in every 1000 people will develop cancer. Fatty liver disease may occur in mice due to exposure to THS. This may in turn lead to heart disease and cirrhosis of liver. Exposure to THS may cause biological changes at cellular levels that increase the risk of fibrosis, raising a probability that it may have a role to play in asthma and COPD. Exposure to THS may raise the risk of heart disease and blood clots by making changes in combination of platelets to each other. Exposure to THS in mice causes hyperactivity, raising the concern that prolonged exposure of children to THS may lead to serious neurological problems. It is believed that children are at greater risk of exposure to third-hand smoke than adults. The carcinogens present in THS settle on the floor where children tend to sit and play. Moreover, children are more likely to put their hands in the mouth after touching the surfaces which are contaminated by THS. A research suggests that exposure to THS in infants may raise the risk of SIDS or Sudden Infant Death Syndrome. If you smoke, even outside your house and then carry an infant, this greatly increases the risk of the child. American Academy of Pediatrics states that children who are exposed to cigarette smoke are at an increased risk of developing chronic health conditions including asthma, frequent infections of the respiratory tract and stunted growth of the lungs. Don't use electronic cigarettes or smoke actively in the car or home. Ask your visitors who smoke to not do so indoors. If you are visiting friends and family who are smokers, stay in a hotel that is smoke-free. Insist that your visitors do not use e-cigarettes or smoke when children are present. Make a request to smokers to wash their hands and if feasible to change their clothes once they have smoked. If you are renting a car, always rent a smoke-free one. Reject ones that smell of smoke. While staying at hotels, book smoke-free rooms. Don't take rooms that smell of smoke. Don't rent or buy apartments or houses where former residents were smokers. Quit smoking if you are smoker. Though it is hard, it is a very rewarding experience. It will help you and your families live a healthier and longer life.